This collect, or prayer, was originally used in the 1662 edition of the Book of Common Prayer on the Sunday before Advent which we now call Christ the King Sunday. It appeared in the 1928 Book of Common Prayer but fell out of use in our current 1979 Book of Common Prayer. In earlier times, and still in Great Britain, this Sunday was called “Stir-Up Sunday” not only for the obvious reason that its collect begins with those words but also because it was the traditional day that the lengthy process of making traditional Christmas puddings needed to begin. You’d hear those words “Stir up, we beseech thee” and remember that it was time to get the ingredients together and “stir” them up in order that the pudding would have time to mature by Christmas. Advent itself, is very much like making a pudding or any other food item. It is a season of preparation, where we “stir up” within ourselves the expectation of the coming of Lord Jesus at Christmas and at his coming at the Last Day. Part of the recipe of a good Advent is making room for all the ingredients of the season. Advent is not all about the ancient peoples expectation of the coming Messiah nor is it all about St. Mary, Joseph, and the Archangel Gabriel. Advent is also about our waiting and preparation for Jesus’ return at the end of the age and the hope that should instill in us. We remember the expectation of long ago and we ourselves live into our own watching and waiting. We sing both O Come, O Come, Emanuel and Lo, He Comes With Clouds Descending because Advent is about remembering our sacred history and living into our present moment of waiting. Our liturgy and prayer in the Anglican tradition bears out both dimensions of Advent very well and teaches is to “stir up” within ourselves the hope of this season. 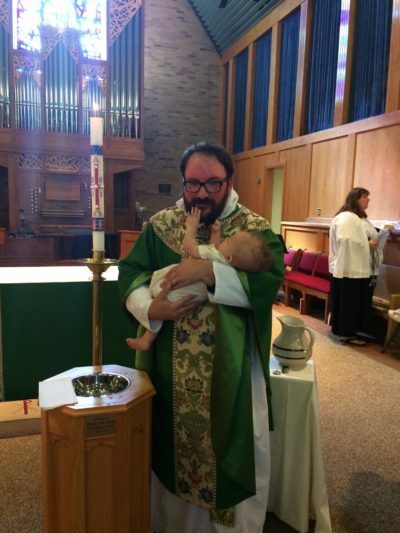 And here at St. Thomas we are beginning a few new things this Advent season. All of them are designed to help live into our calling to wait upon the Lord. We will be beginning our Rector’s Forums at 9:10 on Sunday morning which will be initiation for us to dive into the familiar words of the Lord’s Prayer and discuss its meaning and application to our prayer lives as Christians. Likewise, we will begin to observe the Feast Days that are laid out in the Book of Common Prayer in order to help us remember how the saints of ages lived into their calling to bear Christ into the world. 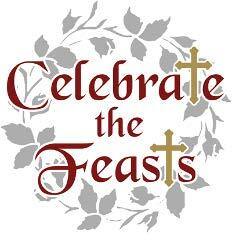 On Thursday, December 21st, at 6:00 PM we will observe the Feast of St. Thomas with a celebration of the Eucharist. I hope to see you all at both of these new practices and hope that we at St. Thomas can stir things up together in preparation for the coming of our Lord Jesus at Christmas. 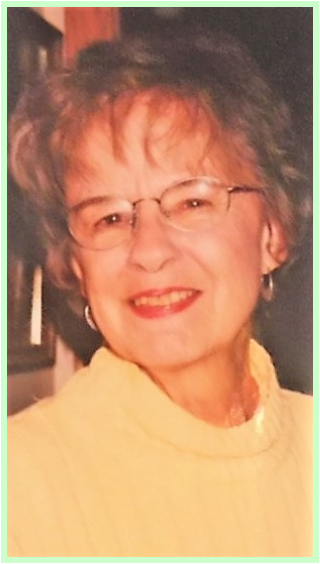 The Wednesday Evening Bible Study will be meeting at the home of Linda Kinsey until further notice. Please call the church office for more information. Starting on Sunday, December 3rd, we will begin holding Rector’s Forums every Sunday between the 8:00 AM and 10:00 AM Services. These brief sessions will give us an opportunity to discuss key concepts of the Christian faith as well as their application to our lives. The first series of forums, running from December 2nd through December 30th, will be entitled The Lord’s Prayer in Slow Motion and we will be an opportunity to slowly read and pray through the Lord’s Prayer, discussing how we as Christians are called to be a people of prayer. The second series, running from January 7th to March 25th will be entitled the Apostle’s Creed in Slow Motion and will be an opportunity for us to discuss what we believe about God, the world, and ourselves as Christians. Future series will include The Beatitudes in Slow Motion, the Ten Commandments in Slow Motion, and the Liturgy in Slow Motion. Unless otherwise noted, the forums will be held in Oglivy Chapel from 9:10 am until 9:50 am. I will provide coffee and breakfast items for the first meeting but hope that as we develop of as a community, others will help in providing simple breakfast items. As Christians we believe in the Communion of Saints – that is, we believe that all those who have died to themselves in the waters of baptism, are united together as one body in Christ. Indeed, we believe that Christians both living and dead are forever united in this body. On November 1st (or, in our case, the closest Sunday to it) we celebrate the Feast of All Saints in remembrance of all those saints who have gone before us, especially those saints whose witness and example have inspired us on our pilgrimage. Likewise, our Anglican/Episcopal tradition sets aside special days during the year where we remember the lives of particular saints whose examples of holiness and perseverance inspire us as we seek to follow the path Jesus has trod for us. 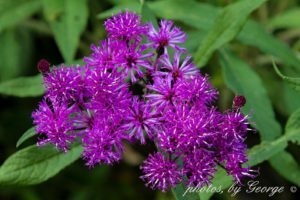 These feast days are typically set on the dates traditionally associated with their death or martyrdom and are, in a sense, celebrations of their heavenly birthdays. The Christian Year as laid out in our Book of Common Prayer sets aside many such feast days for Biblical saints such as the apostles, the evangelists (authors of the Gospels), and several commemorating events in the life of Jesus or St Mary the Virgin. There is great value in marking these feasts, or holidays, within the life of our parish church as it gives us time to reflect on how we too are called to be saints in the 21st century. The Family Christmas Tree is returning again this year and will be put up December 9th. The ornaments that are stored each year will be on the tree. Years past have brought family ornaments, memorial ornaments and ministry ornaments. If you have missed any of the years, please include them this year. There is lots of room on the tree for your beautiful ornaments. This year’s theme is going to be our beloved pets (past and present), Tags will be available for labeling ornaments. Please contact Anita Cooper at 330-635-3752 if you have any questions. With the recent events involving the hacking of the church’s Gmail account, we have decided to take measures to ensure more security within our mail program. Through our website, stthomas-berea.org, we have the capability of creating specific e-mail accounts for the rector and staff. We will be working with our webmaster, Danielle to create these new accounts, and hopefully have them up and running by year end. This means, we will shut down our accounts with sbcglobal and gmail. Don’t panic! We are going to try and make the transition as smooth as possible. We will keep you posted on the roll out date for these new accounts. 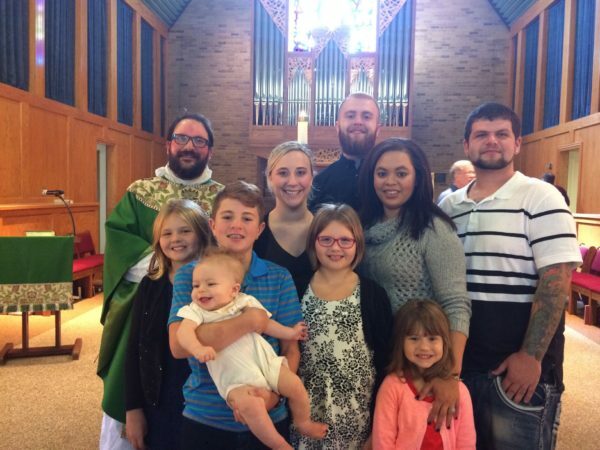 Our purpose is to bring others into a living, loving relationship with Jesus, our Lord and Savior and to help strengthen the spiritual life of our parish and missions. We dedicate ourselves to prayer, service and evangelism for the spread of the Kingdom of God. We have changed our meeting times, our Chapter now meets on the second Sunday of each month at 12 p.m. (after the 10:30 am service). We would love for you to join us and let us share with you our mission. If you are interested, please contact Elaine Willis. Thank you all for participating so wholeheartedly in the recent Los Amigos Episcopales Soup Supper, It was a very successful event earning over $2,000 to support schools in El Salvador, plus much more in donations following the supper. The facilities at St. Thomas proved just right for the event, as we welcomed the Bishop of El Salvador and heard about the success of the schools we have supported for so many years. The next meeting of Los Amigos will be our annual holiday event and dinner on Saturday, January 5. Please note information in coming Sunday bulletins for the specifics of this party to which you are all invited. Articles for the February/March issue of the Wayfarer are due by January 20, 2018. Please forward articles to the church e-mail address at: stec1@sbcglobal.net. It is with sad hearts Dolly and Rosalie are having just one seating for the next Devonshire tea, which is on Saturday, February 24, 2018 at 12:00 pm. We have struggled with this decision for a few years. Last year having difficulty with having enough servers and table setters it was much work on only a few. Over the years we have all grown older and moving less quickly. We have added some tables for the noon seating on February 24th and need people to set a table and servers. Please contact Rosalie at loverosei@cox.net if you would like more information. Please make your paid reservations early to guarantee your seating. Tickets are $25 and can be purchased by contacting Rosalie. The Devonshire Tea will remain as regal as it has always been with artists, harpist and raffles. Thank you all so much for your support over the years. A special thank you to Marion, Jean and Sarah who are no longer with us but are in spirit, Betsy who is just not able to do as she has over the years. Marlene who now travels, David and Sonia, Frank who is ailing. So many of us are not able to do as we once did. We are looking forward to the 17th Tea on February 24, 2018. St. Thomas and Tri-C hosted a lovely concert to honor our Veterans and their families on November 12th, and the Sanctuary was HOPPIN’! We had 24 different individual and group performances, including Alyse Hancock-Phillips, Nancy Braford and Jan Smith, the Tri-C Chorale, both CCC and Cleveland State faculty and students, and other area professionals. Just a tremendous job by all performers! A huge thank you to all our performers, and St. Thomas Church for hosting this annual event. A shout-out to Sandy Shoenfelt and Bev Smith, and other folks who helped us with a lovely post-concert reception! Our donations for this event totaled about $600, which we will send on a check to Veteran’s Suicide Hotline Association soon! Great Celebration of the Ohio Diocese’s 200th Anniversary! 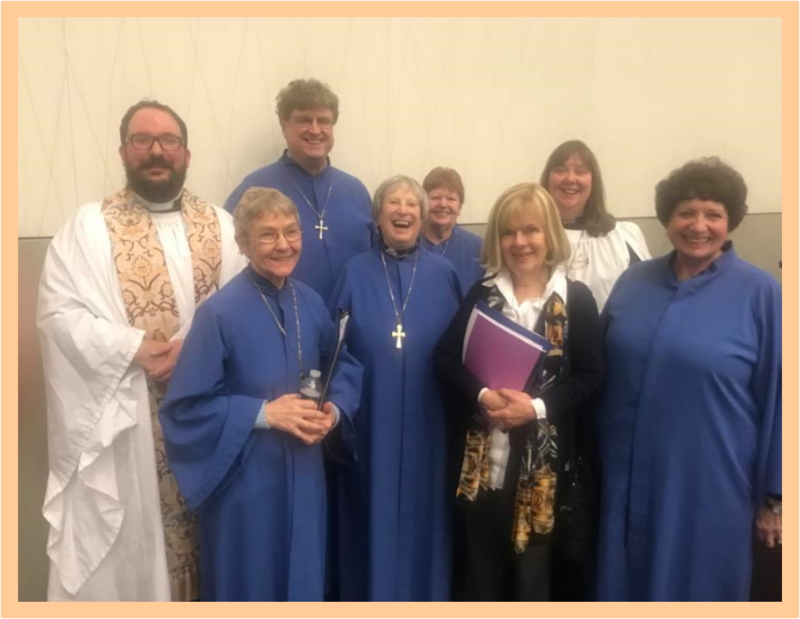 St. Thomas was well-represented at the Bicentennial celebration and Convention of the Episcopal Diocese of Ohio, with delegates Linda Kinsey and Sue Griffith, Eucharist Choir members Randy and Marcy Molmen, Mary Lee Stowell, Nancy Braford, Sue Griffith, and Kira Seaton, and our Rector Father David. Great week-end, wonderful service, and Bishop Curry gave an incredibly stirring message. Our membership added to the 100+ member choir from all over Northern Ohio, and it was WONDERFUL! 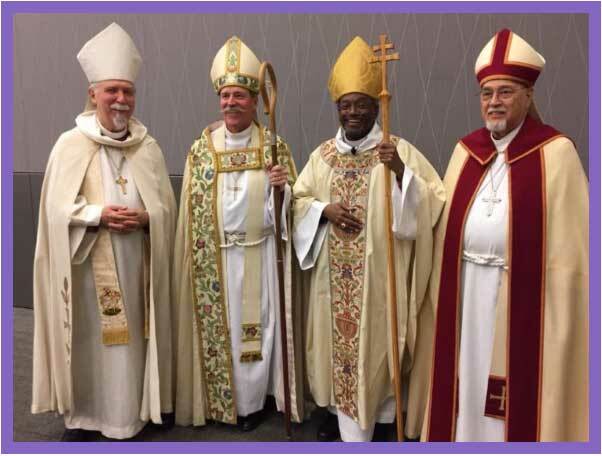 Look for Bishop Curry’s message and other goodies from the Convention on our Facebook page. What is your favorite Hymn or Anthem? Music is such a great way to bring people together, to express the un-expressible, to soften our hearts and to encourage us! No doubt when Paul wrote this to one of his beloved churches, he knew what he was talking about! So we want to know – WHAT ARE YOUR FAVORITE HYMNS, ANTHEMS, SPIRITUAL SONGS? Send the church an e-mail, leave a note for Ginny or me, or catch me or a member of the Choir after worship and let us know. We want to make our services “draw you into the tether of God’s love”. Help us do this by expressing what you would like to hear and sing! Veterans’ Meet and Greet – We are very happy about the growing interest in this project (see attached flyer for December). We are now serving well over 50 veterans and spouses (plus those who help) every month. If you are a veteran (or spouse of one), please join this group for a wonderful lunch and program, usually on the last Friday of each month. Please note that, because of Thanksgiving, we have already had the very successful November program, and the date of the December program is December 29th. We will start out the new year with our lunch on January 26. I want to say “thank you” to committee members who work tirelessly every month to purchase food, cook, serve, assist with this program and support it. I also want to thank those who have donated cookies, other desserts (in November our speaker brought a huge, decorated cake), decorations, individual treats for each veteran, and food, We have a core of about 10 regular volunteers, but we could really use more. CAN YOU HELP? Do you have suggestions for speakers for our Meet and Greet? We welcome you to our next Outreach Committee Meeting which is Wednesday, December 8 at 6:30pm. Berea Community Meal on Wednesday, November 29 at 6:00pm at St. Paul’s Lutheran Church on Bagley Road. Many thanks to all of you who brought those delicious pies (there were at least 24 of them), and to those who worked at the community meal event on November 29, (Sally Catalano, Charlotte Rodriguez and her friend Mary, Laura Gaba, Etta and Katrina Scheu, Peggy Cramer and Ruth Ihde). It was a grand meal indeed, followed by our wonderful desserts. There are leftover pies in the St. Thomas refrigerator, which you can test for yourself at coffee hour after the 10:30 am service on Sunday, December 3. Donations for veterans and Church Street Ministries – Please continue to fill our containers in the narthex for these worthy groups. During December we are collecting powdered laundry detergent for Church Street and cups and glasses for veterans. In January we will collect toothpaste and toothbrushes for Church Street and sweatshirts and sweatpants for veterans. Thank you for your generous commitment. Please see further notices in this Wayfarer concerning other outreach projects. Christmas is less than a month away! Have you thought about ordering gift cards through the Shop with Scrip program at St. Thomas? When you purchase gift cards through our Shop with Scrip program, St. Thomas earns an average of 5%? But our program only works with your support! With over 300 popular retailers to choose from for your shopping, dining, travel and on-line purchases, there is something for everyone! You can do all your shopping quickly and easily without wasting time, gas or braving the cold and snow! During the holiday season, many retailers are offering small denomination cards which make a great gift for the special people in your life; like teachers, nurses, coaches, (your favorite parish administrator!) mail carrier, neighbor, etc. Cards are available after services or call the church office at 440-234-5241 to place an order. You can also purchase, reload and manage cards directly from the website at www.shopwithscrip.com. The last date to order cards for delivery before Christmas is 9 am on December 18th, so place your order now! Come back with us to the Medieval Era when life was non-digital and communities gathered for big feasts at the local Castle. Tickets are $30 each and would be a delightful Christmas gift for family or friends. Costumes are encouraged and we have a stock on hand but not required. We provide you with a dagger for your meat and a spoon for the soup but the fork has not been invented during medieval times. Bev Smith and Etta Scheu and John Staub work under direction of a master chef to bring you this event. The feast is on Saturday January 20th, 2018 (even though we think it’s 1478.) Come enjoy, come back in time. Tickets may be purchased at the church office or mailed on receipt of payment. For further information call Bev Smith at 440-235-3585. If you would like a coat of arms created, you must put in your request and purchase your tickets before January 7th. After several months of study, the Vestry voted in October to convert the neglected former community garden to a native plants garden to help birds cope with climate change and provide information to help people choose suitable bird-friendly native plants for their own yards. Soon afterwards, a colorful bulletin insert described the project and invited interested people to sign up. The planning group has met twice. We’ve discussed the goal given to us by the Vestry and all of us offered our own vision for how to achieve it. These visions were varied, but compatible. 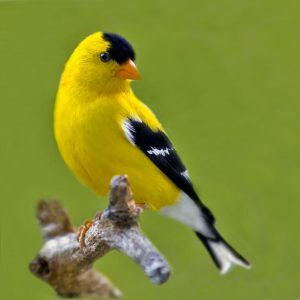 We are all eager to help birds in ways that create an attractive, low-maintenance space. To begin the design phase, we walked through the garden area, noting its permanent features such as trees, telephone poles, paths worn across it by students, and of course the church building. We will include these in an accurate, detailed plan to use in our discussions. The first decision was to make sure none of the plants we add cast shade on any of the church windows or do anything to darken the interior. We’ve also set a tentative height limit of 10-15 feet and are thinking of adding about 3 trees or shrubs in that size range, or more if they’re much smaller. Members of the group are researching choices to consider at our December meeting. We welcome questions or constructive suggestions from members of the parish. Contact any of the members on the sign-up sheet on the office window. Or sign up yourself – there’s still room. Now through December 3, we are collecting blankets for the impoverished and homeless. 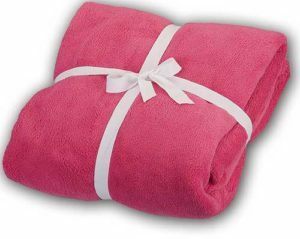 These blankets are very much needed during the upcoming cold winter months. 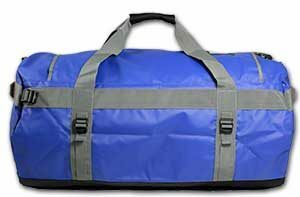 Please note this this collection is in addition to the Duffle bag project. New or excellent condition blankets can be put in the marked donation box near the entry way of the church, which will be set out in early November. Twin size blankets are especially needed. Thank you for helping those in need. If you have any questions, please contact Barb Emigh. We are now taking orders for the Christmas poinsettias that will enhance our church during the Christmas season. It is a perfect time to remember parents and family members or to honor special people in your life with your donation. Forms are on the literature table in the entrance hall. The cost is $25 and payment is due with order. The deadline for placing your poinsettia order is December 17. Please contact the church office if you have any questions. St. Thomas is again participating in a special Christmas project sponsored by the Episcopal West Side Shared Ministry. As a gift to the impoverished and homeless, we have been asked to donate 80 (40 men’s and 40 women’s) filled duffle bags/backpacks. Please label the gift as “man’s” or “lady’s”. Individual items will also be accepted which will be used to make additional filled bags. These gifts will be presented as part of a Christmas dinner gathering and later distributed to other people throughout the area. Contributions should be turned in as soon as possible, but by no later than Sunday, December 3rd and should be new or in excellent condition. Please look for the donation bins, which will be set out in early November. This is a wonderful opportunity for us to give some much-appreciated, practical help to those in need! Please see the flyer in this issue of the Wayfarer with the list of items needed for this project. Through the month of December, we are collecting new or gently worn coats to donate to St. Luke’s West Side Shared Ministries in addition to the duffle bags and blankets we are also collecting. Please make sure there are no broken zippers, torn linings or holes. Please leave your donation under the sign on the coat rack in the hall way. Barb Emigh will be delivering the donations to St. Luke’s. Please contact her if you have any questions. What an amazing turn out! 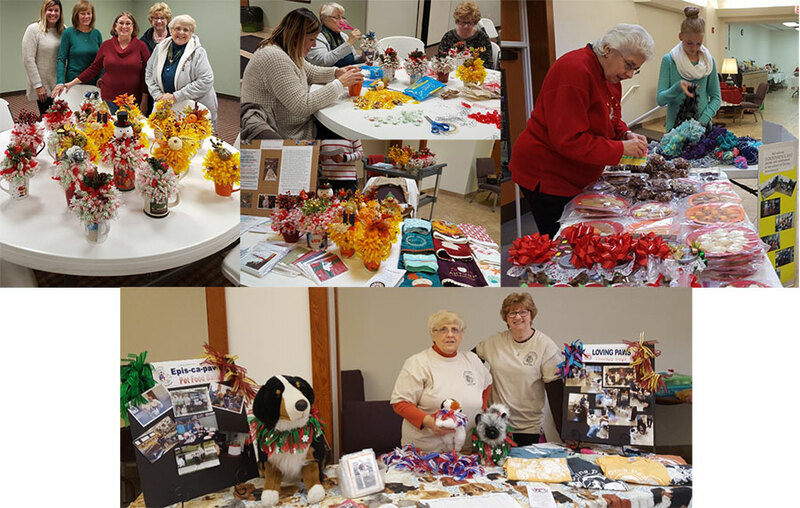 Thank you to all the wonderful St. Thomas people who brought in their crafts and baked goods to sell at the Mission and Meal Event at the Berea United Methodist Church on November 4. In total the ECW made about $440. Thanks to the faithful knitters of St. Thomas Church, 22 chemo caps were donated to UH Seidman Cancer Center at Southwest Hospital. ECW was also able to offer caps at no cost to visitors at the Mission and Meal Event at Berea United Methodist Church. If you know of someone who is in need of a chemo cap, please take one from the container in the office, or call the church office to arrange pick up. If you are able, please stay after the 10:30 am service on December 17th, to help decorate the sanctuary and church for Christmas. See Anita Cooper for more details or to volunteer. The Annual Meeting of the Parish of St. Thomas will be held on Sunday, January 28, 2018, There will be a catered luncheon after the 10:30 am service, followed by the Annual Meeting. Please note the 10:30 am service will be the only service the weekend of January 27-28, 2018. There will NOT be a 5:30 pm Contemporary Eucharist on Saturday nor an 8:00 am Holy Eucharist on Sunday. All members of the parish are encouraged to attend. The event will be catered, but we do ask that parish members bring a dessert to share. A sign-up sheet will be posted in late December. All committee leaders and ministry heads, please submit your annual report to the Parish Administrator no later than Wednesday, January 17, 2018. Please be respectful of this deadline, as the Parish Administrator needs adequate time to collate, edit and create the annual report! In continuing with the tradition of beloved St. Thomas Parish member Dody Sandt, we are continuing Dody’s Mitten Tree in her memory. 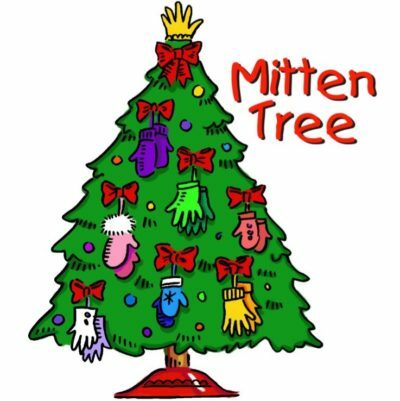 The mitten tree will be set up in mid-December and stay up through January. But we’re not just collecting mittens, we’re also collecting hats, scarves, gloves – all manner of coverings to keep heads and hands warm & toasty this winter. Non-perishable food donations are always welcome, too. All donations will be taken to Church Street Ministries, and they will distribute the items to those who need them so very much. If you have any questions, please call the church office. Volunteers are needed to light the Advent wreath at all our worship services as we begin our Advent season. A sign-up sheet is on the office window for the Advent Wreath Candle Lighting during the four weeks of Advent. We encourage you, members of your family, or ministry groups to sign up. 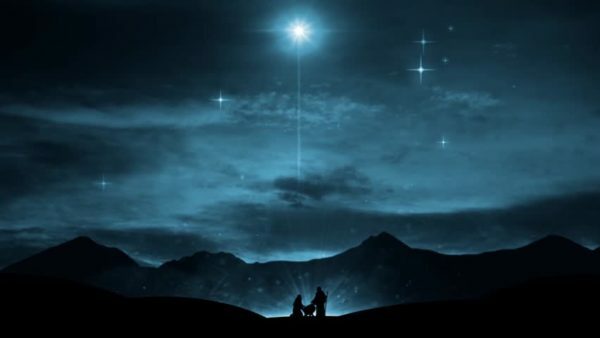 Advent begins December 2 and ends December 23. Consider being a part of the lighting as we prepare for our Lord’s coming. If you have any questions, please talk to Father Dave. Readers, Chalice Bearers and Ushers are all needed for the Advent 4, Christmas Eve and Christmas Day services. Please add your name to the sign-up sheet on the office window if you would like to volunteer at any of these services.